The show took place at the 19,000 capacity Rogers Arena. 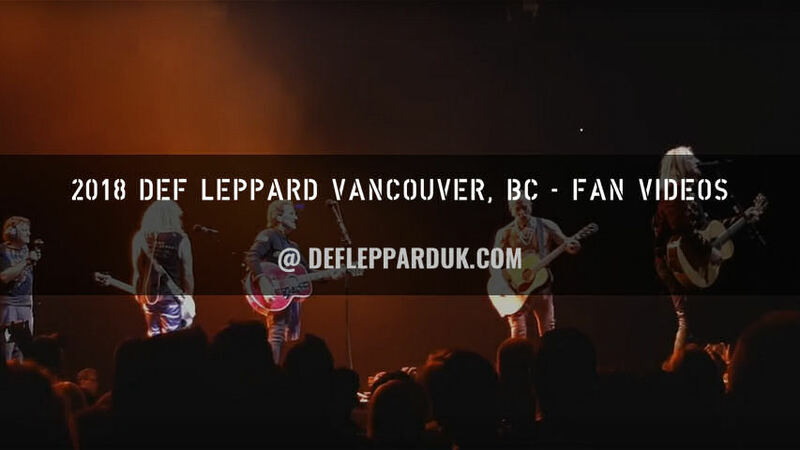 The band last played Vancouver on 6th June 2017 on the Summer Tour 2017. The 11th show the band have played in Vancouver and 7th time at this venue. The first visit was in July 1983 at the PNE Coliseum on the Pyromania tour with Uriah Heep in support. They came back to the same venue in June 1988 for an In The Round show on the Hysteria tour with Jon Bon Jovi joining them on the encore of 'Travellin' Band'. The last night of their Canadian tour. A second In The Round show at the same venue took place in October 1992 on the Adrenalize tour. A small private show for contest winners took place in July 1993 under the name 'The Great Canadian Cabin Party'. Rogers Arena was then played for the first time in September 1996 on the Slang tour under the name 'General Motors Place'. A second visit to the venue took place in January 2000 on the Euphoria tour. The Pacific Coliseum was played in September 2003 on the X/Ten tour. General Motors Place was the venue again in August 2005 on the Rock Of Ages tour and again in September 2007 on the Downstage Thrust tour. It was the venue once again in April 2015 under its new title of Pepsi Live at Rogers Arena and then again in 2017. 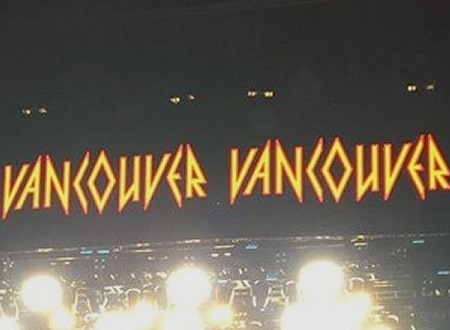 'When Love & Hate Collide' was played in Vancouver for the first time electrically. It had been played acoustically here on 23rd October 1995 during the 3 Continents In One Day show at Commmodore Ballroom. "Vancouver, British Columbia, Canada!. Thanks for having us. Thanks for coming. Thanks for being here. We'll see you next time. Goodnight!." "Unbelievable. Thank you so much. It's been a real pleasure thank you Vancouver. Until next time. And there will be a next time!. Do us a big favour yeah. Don't forget us and we won't forget you. Goodnight!." The next show takes place on 4th October in Sacramento, CA. Played for the first time electrically in Vancouver.